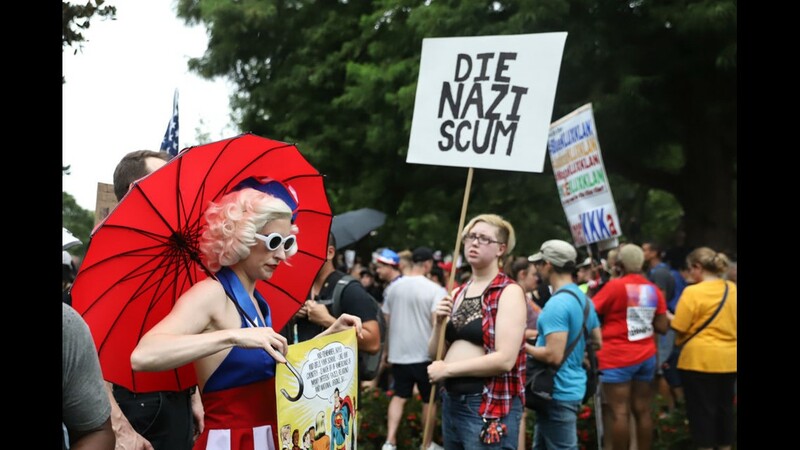 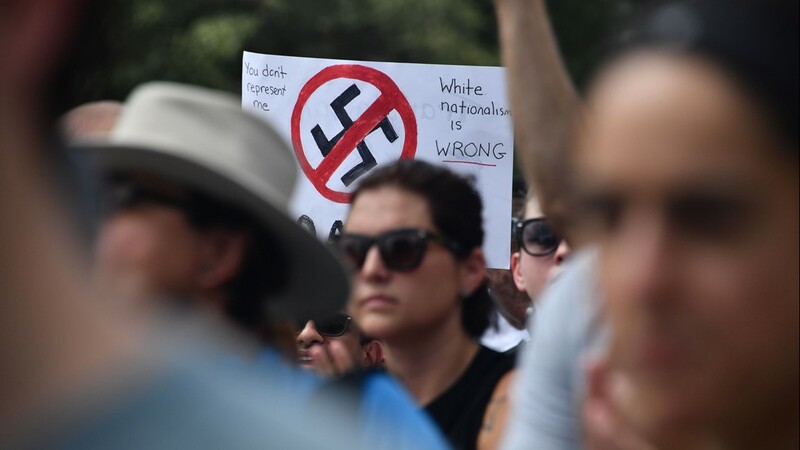 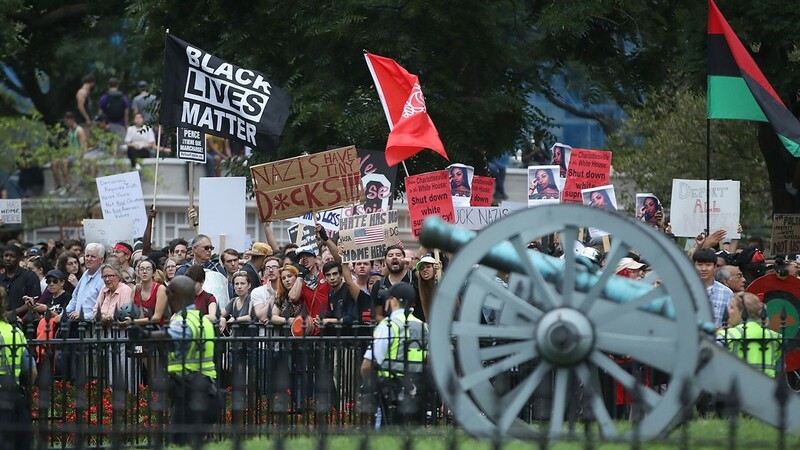 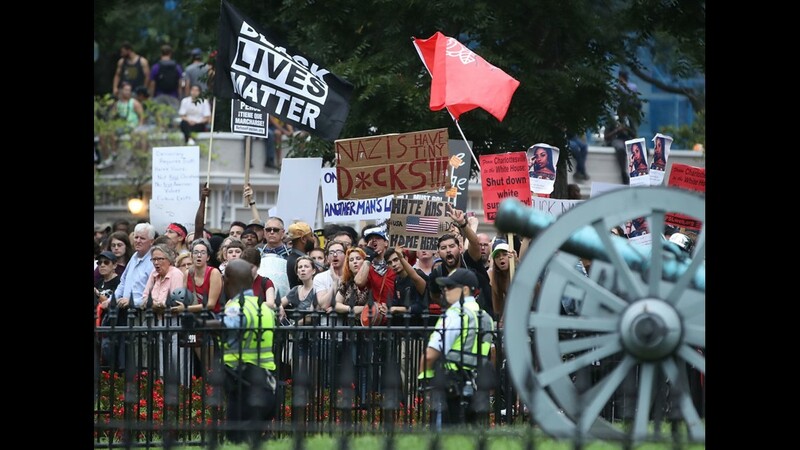 When Unite the Right rally participants arrived in Lafayette Square, counter-protesters and rally attendees stood across from each other, hundreds of counter-protests on one side and a handful of rally participants on the other. 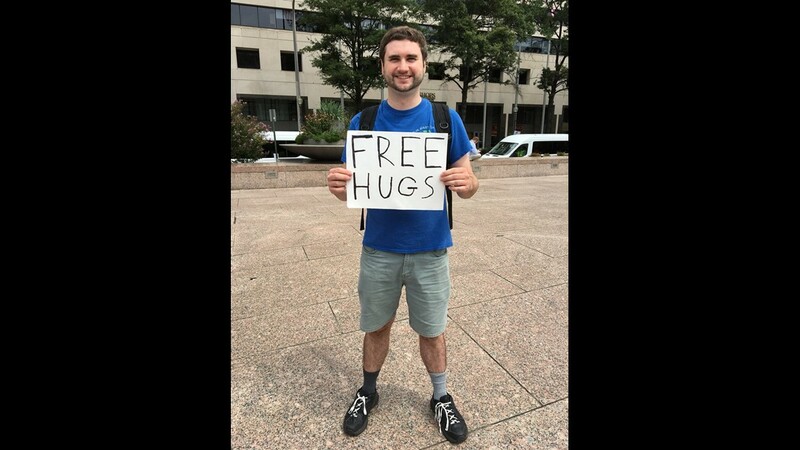 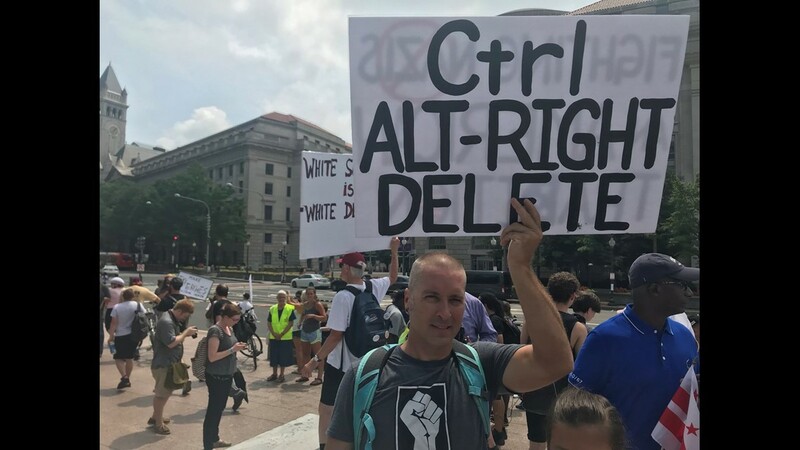 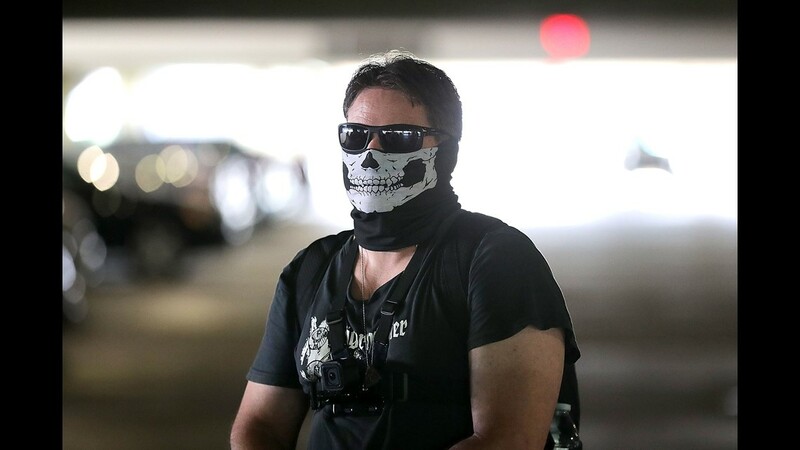 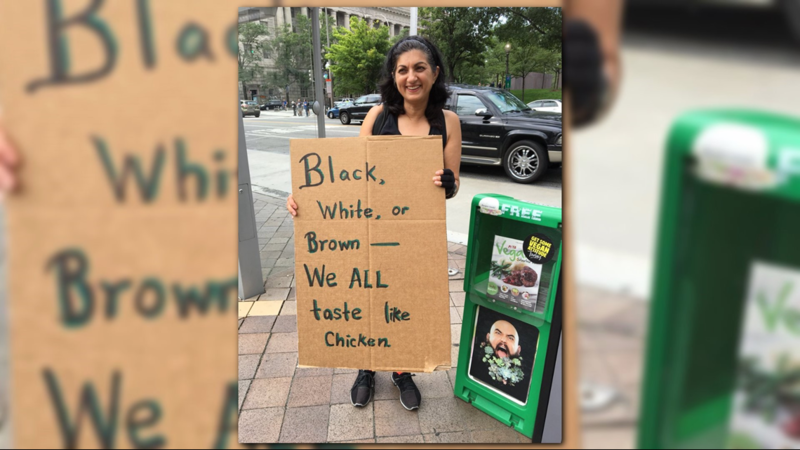 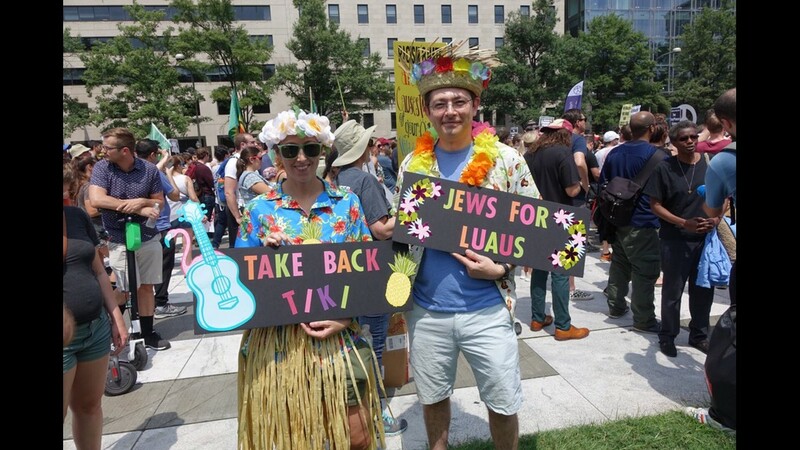 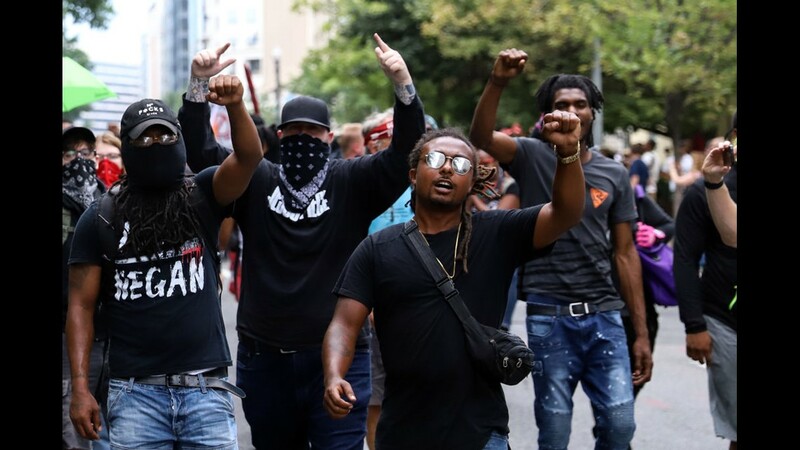 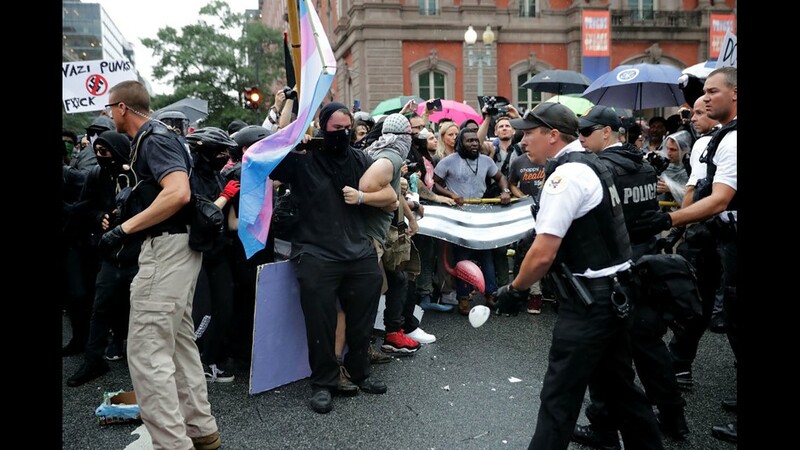 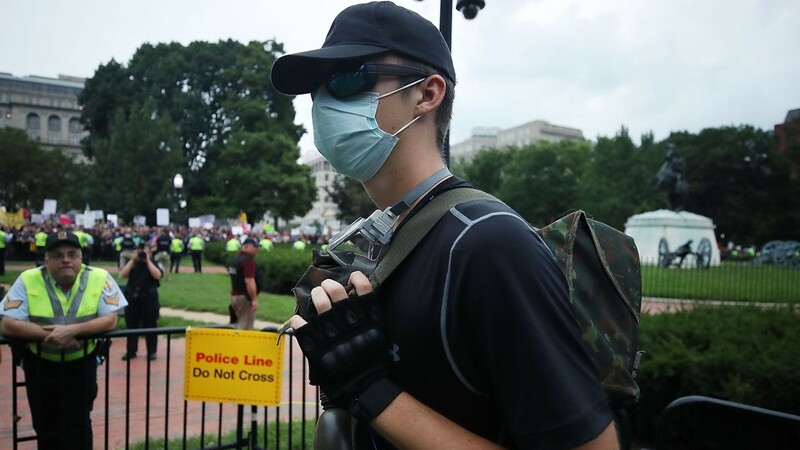 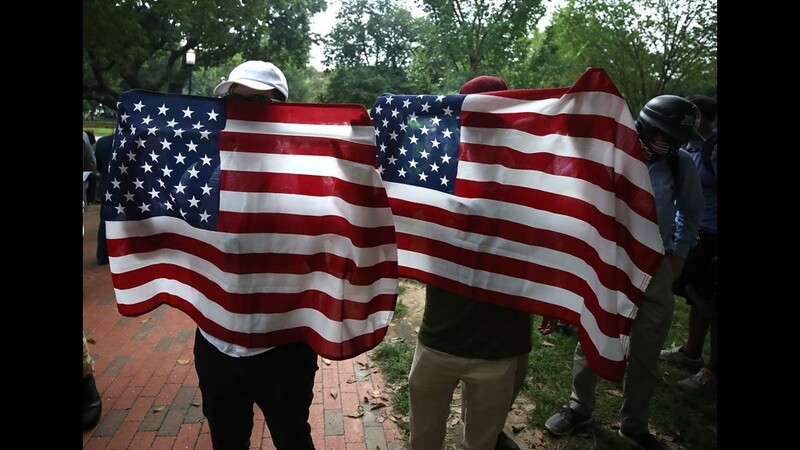 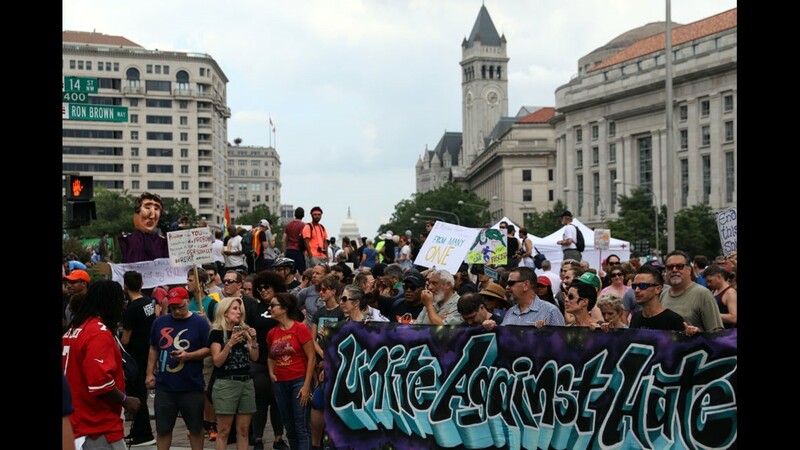 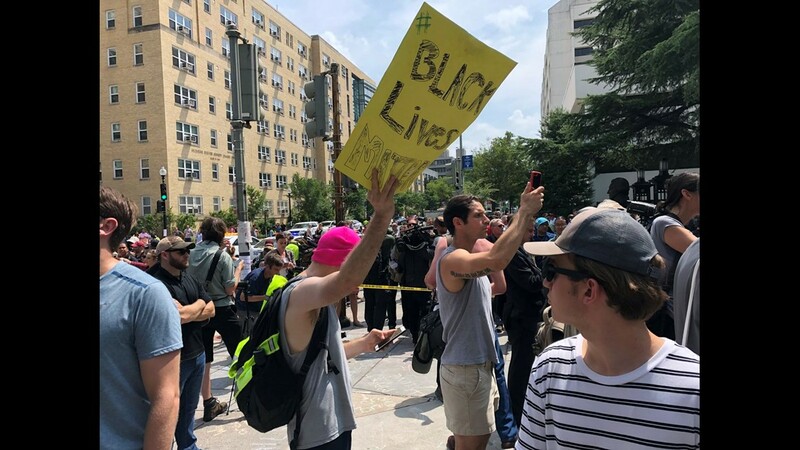 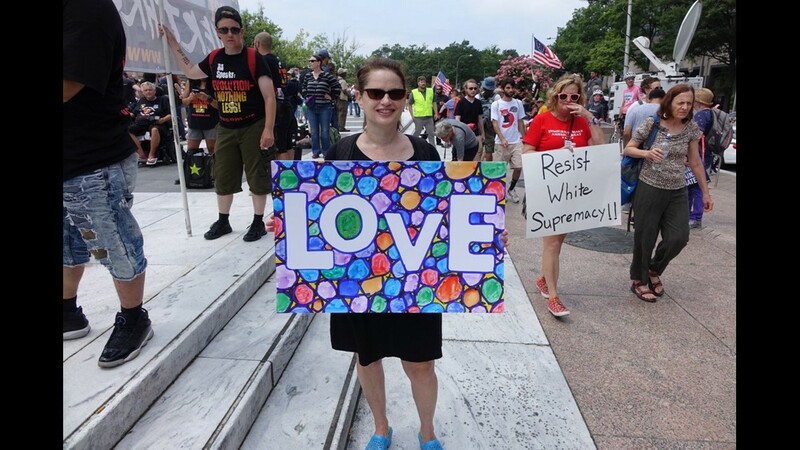 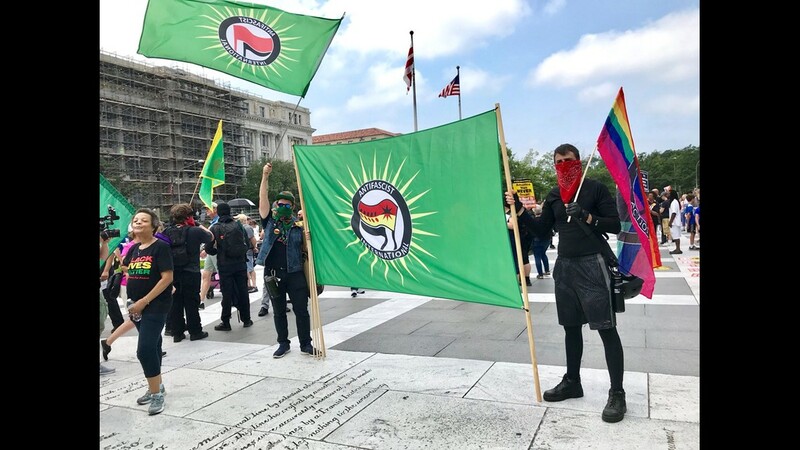 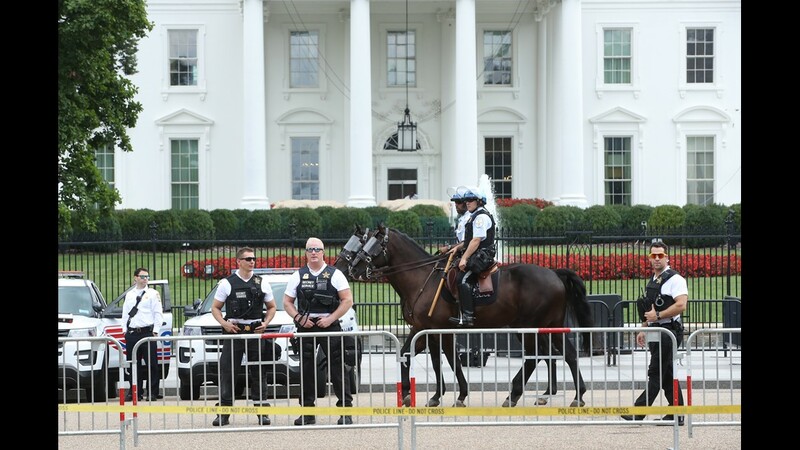 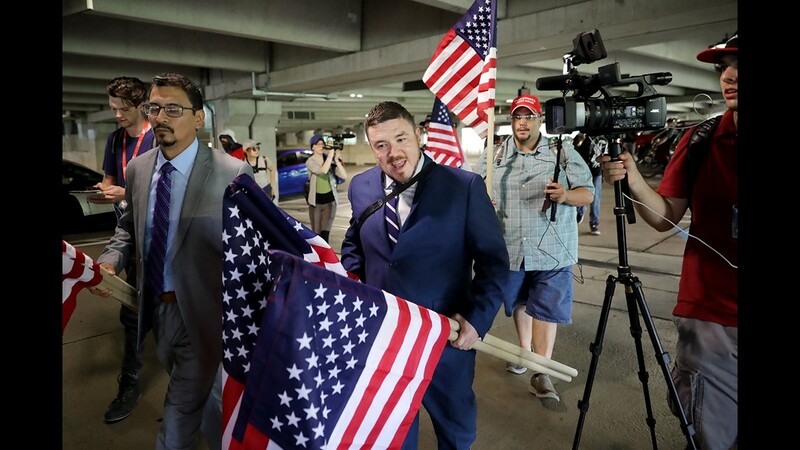 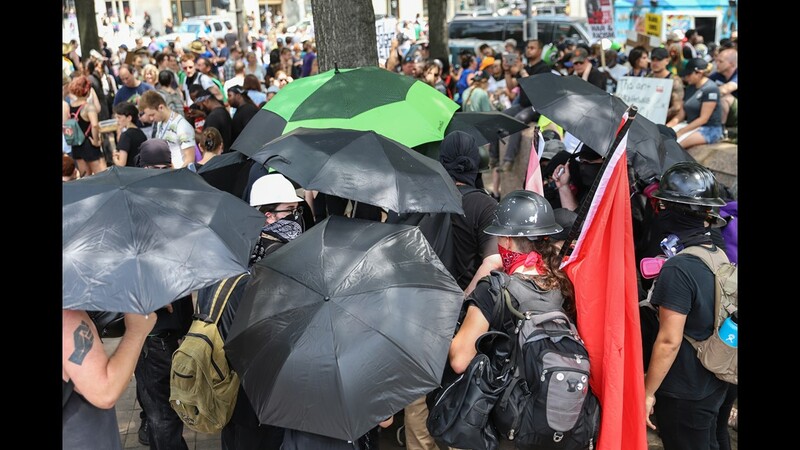 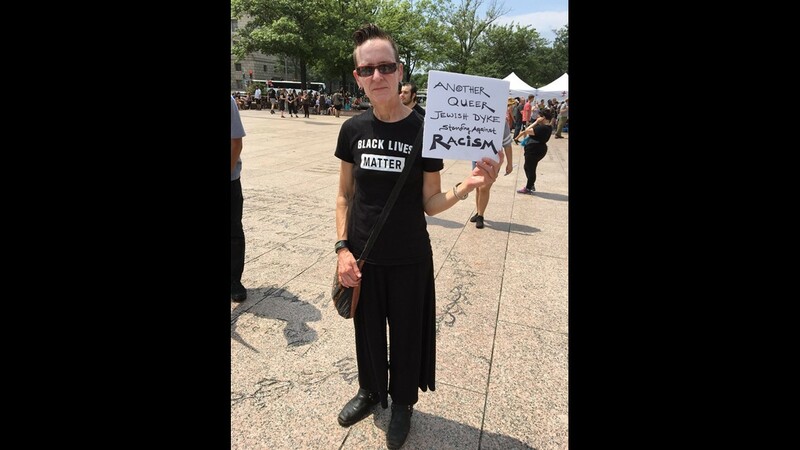 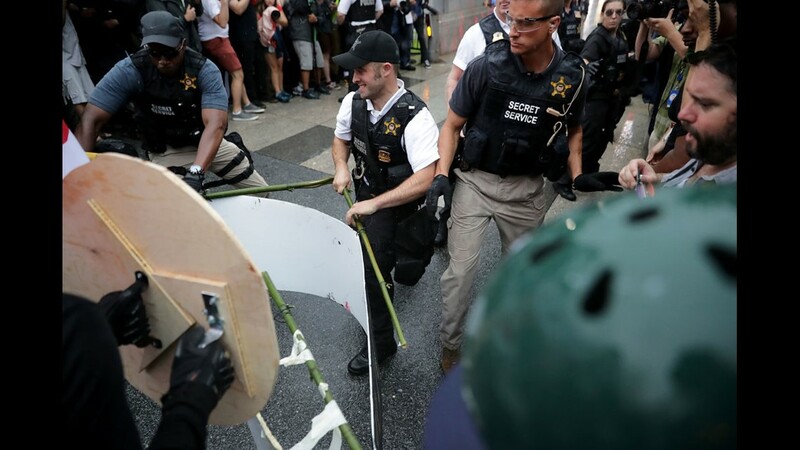 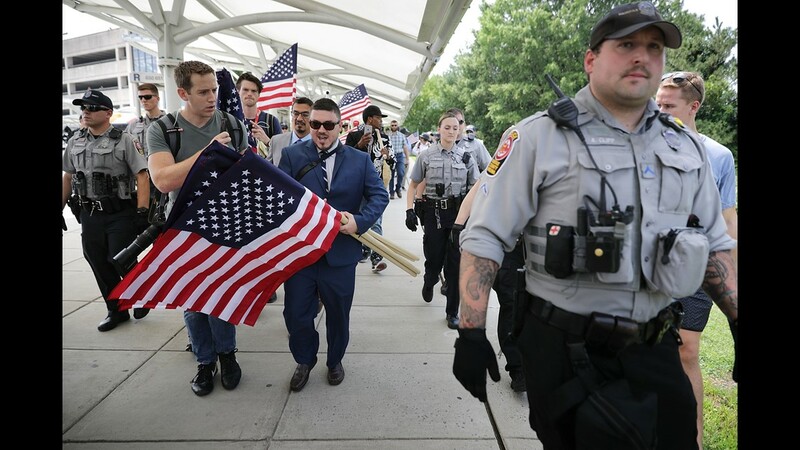 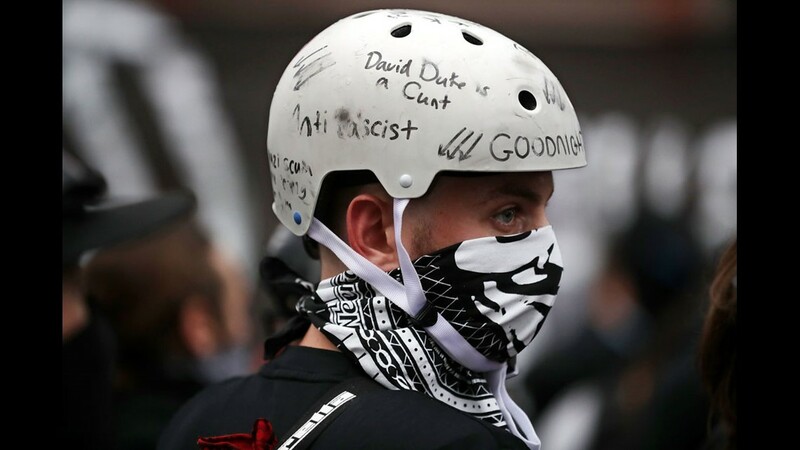 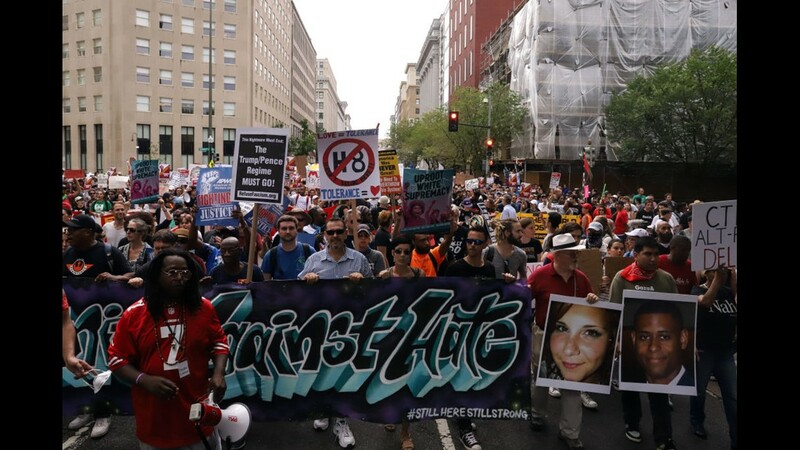 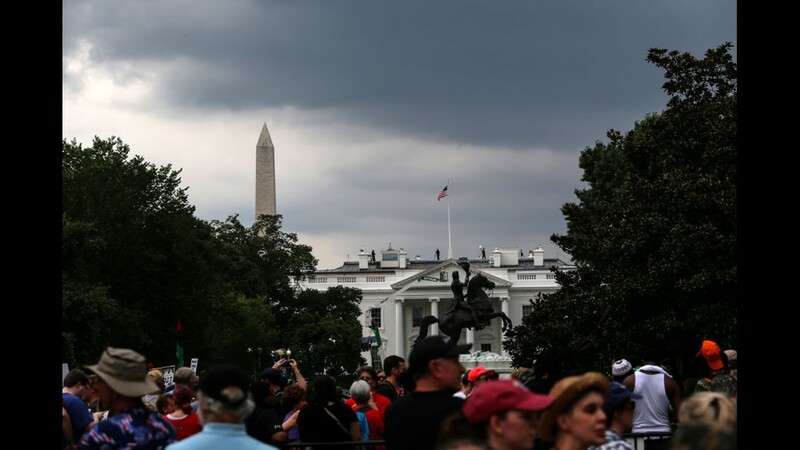 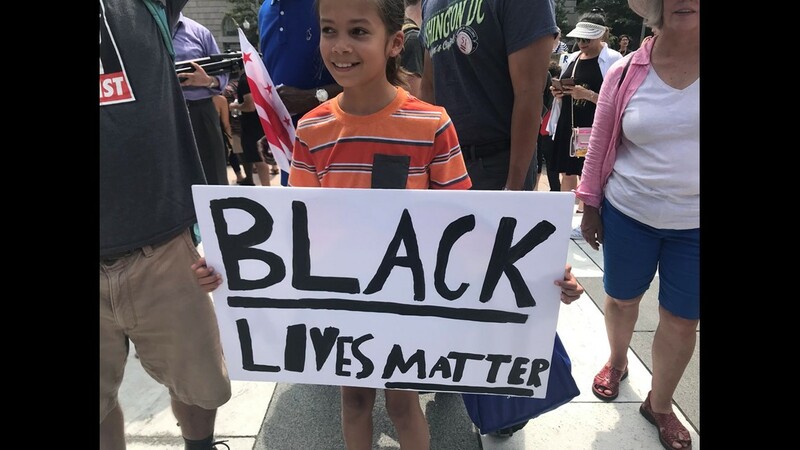 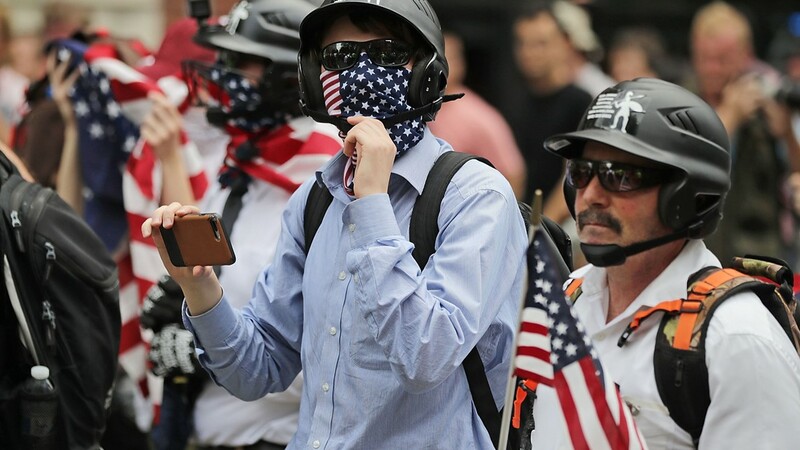 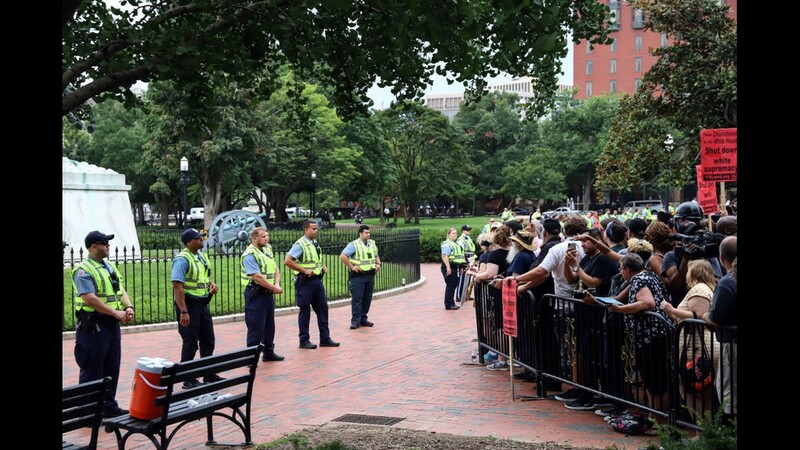 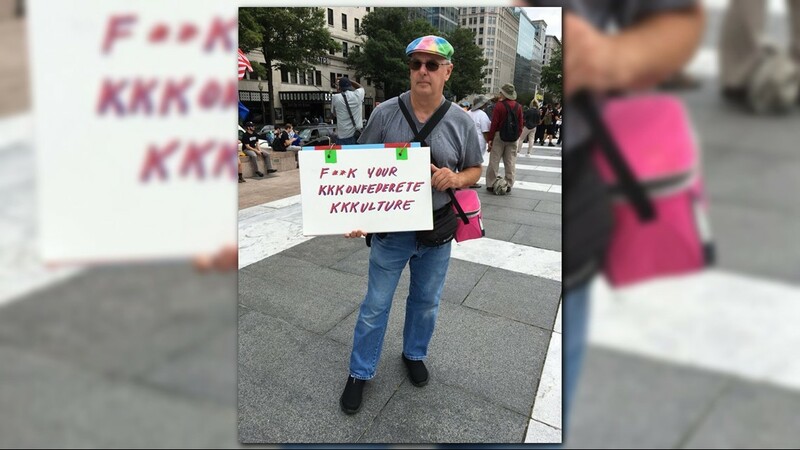 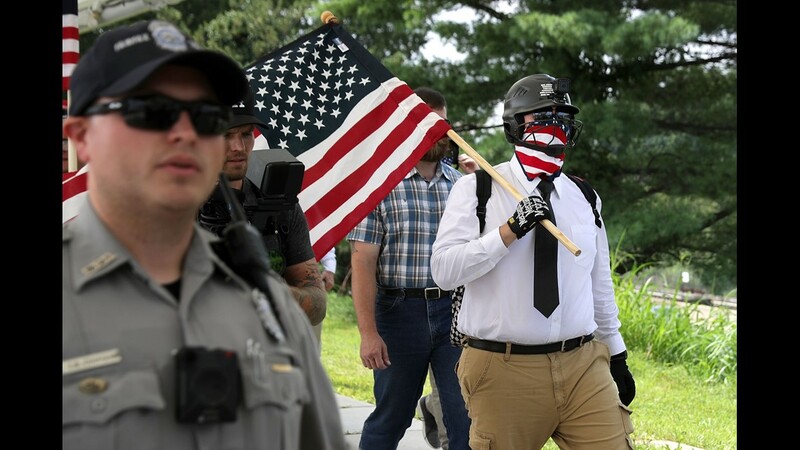 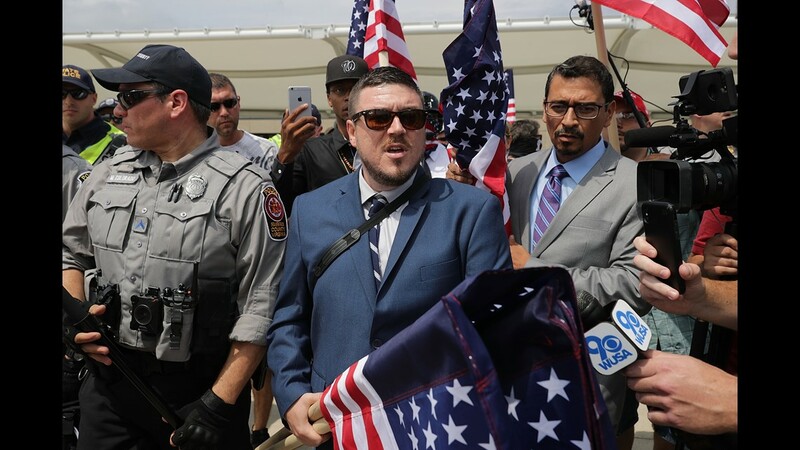 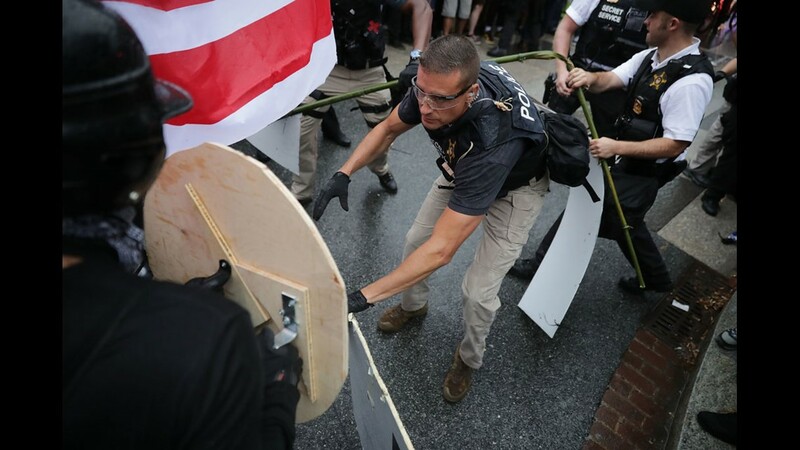 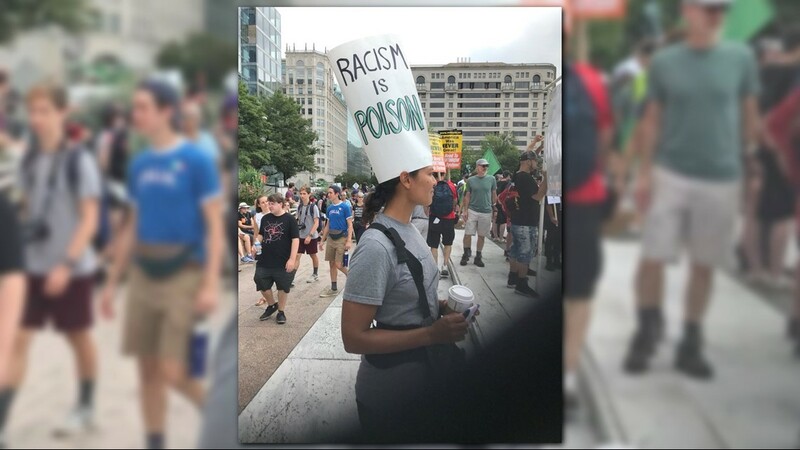 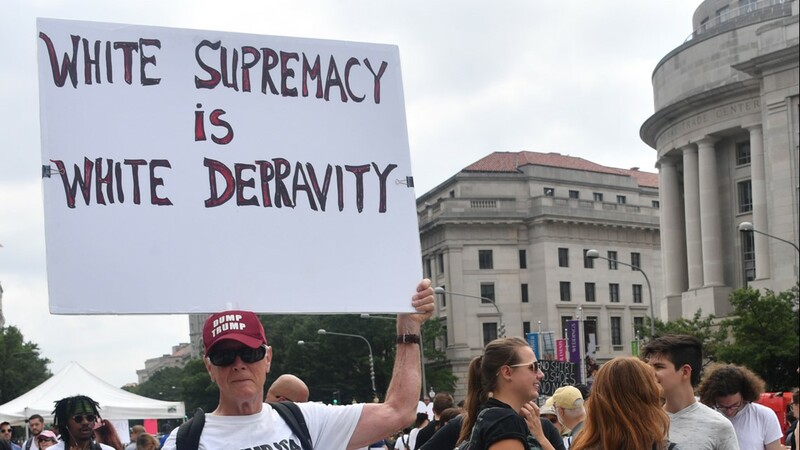 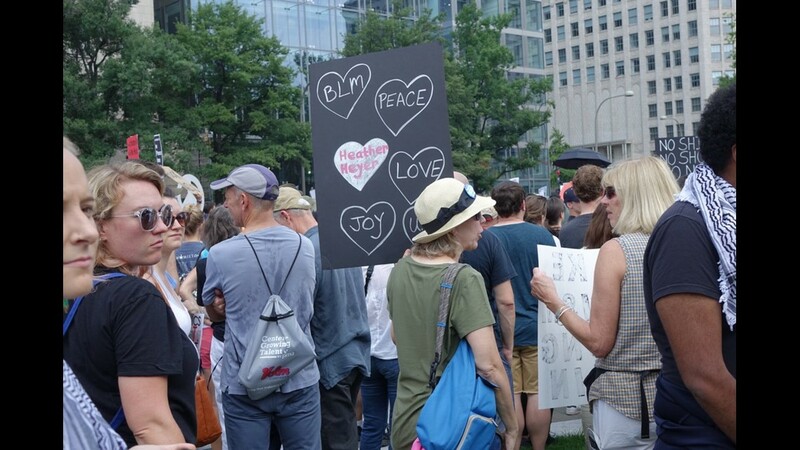 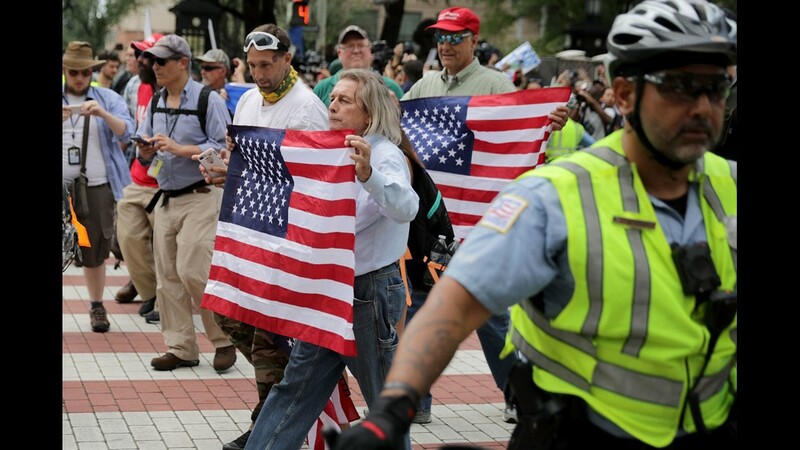 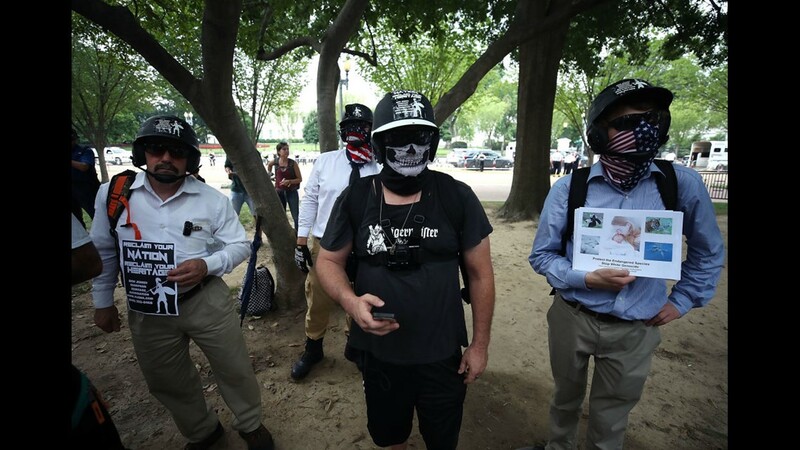 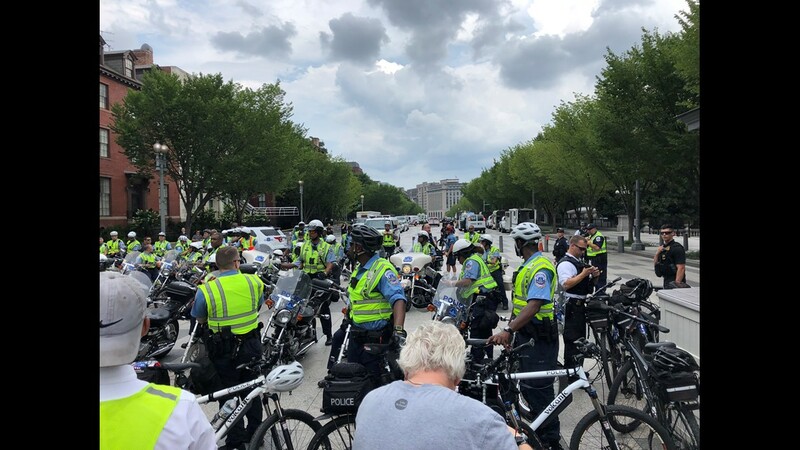 WASHINGTON -- Unite the Right rally participants said other members were "scared" to attend the rally in D.C., making the group of about 30 vastly outnumbered by the thousands of counter-protesters surrounding the area. 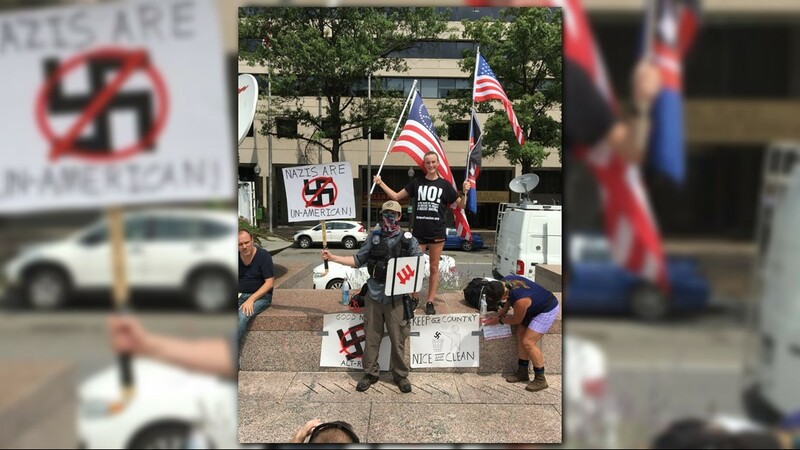 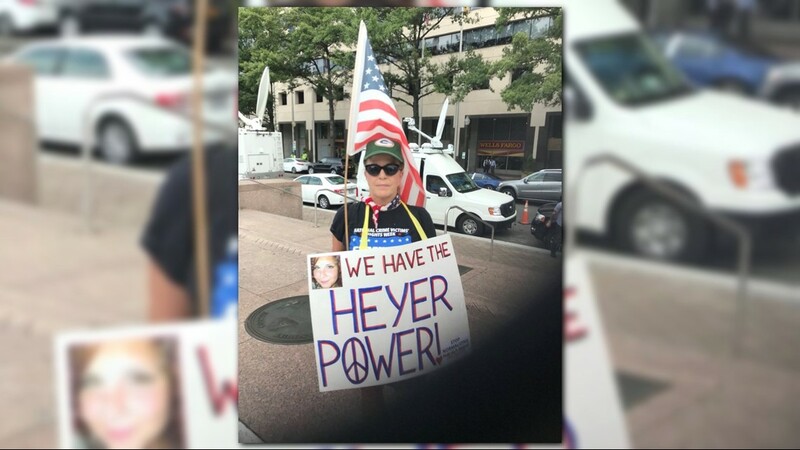 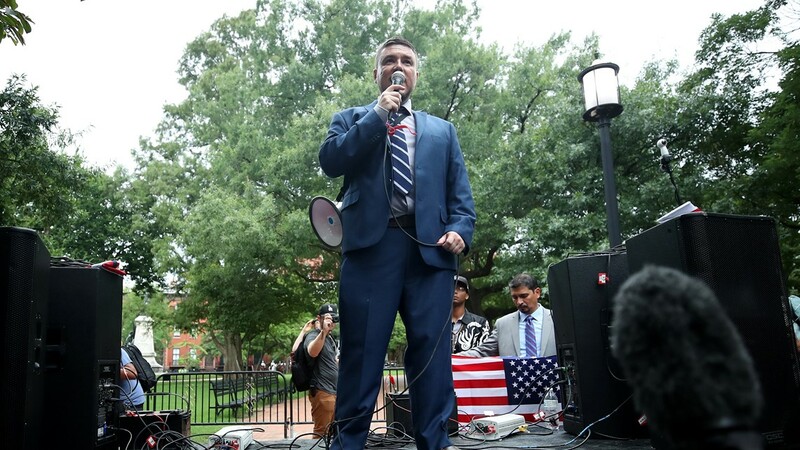 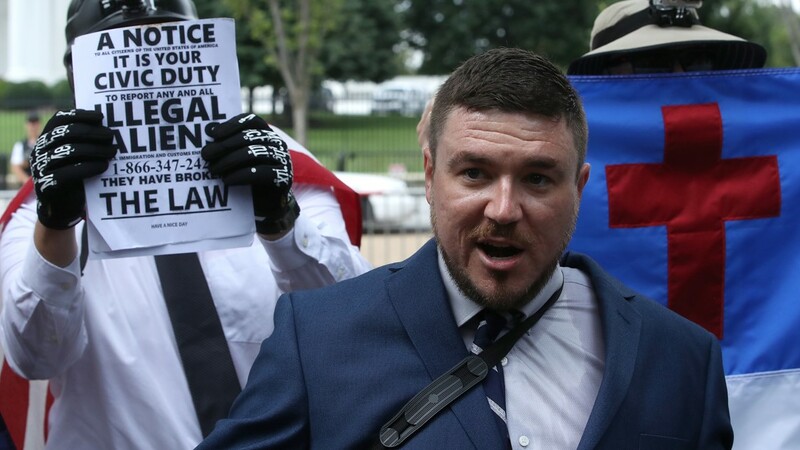 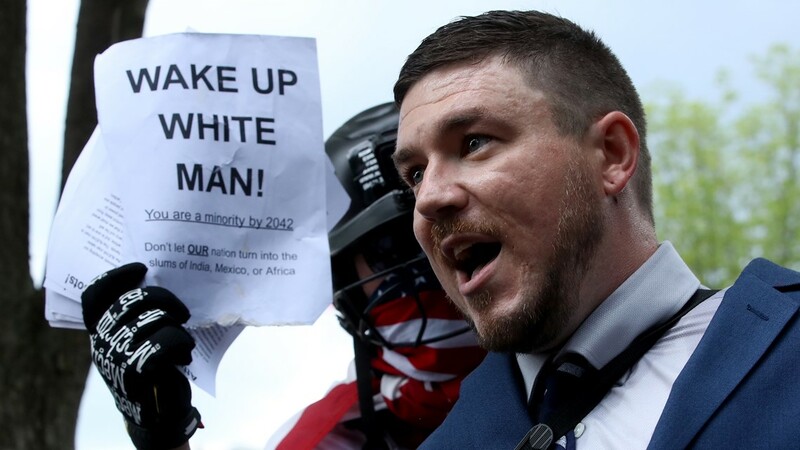 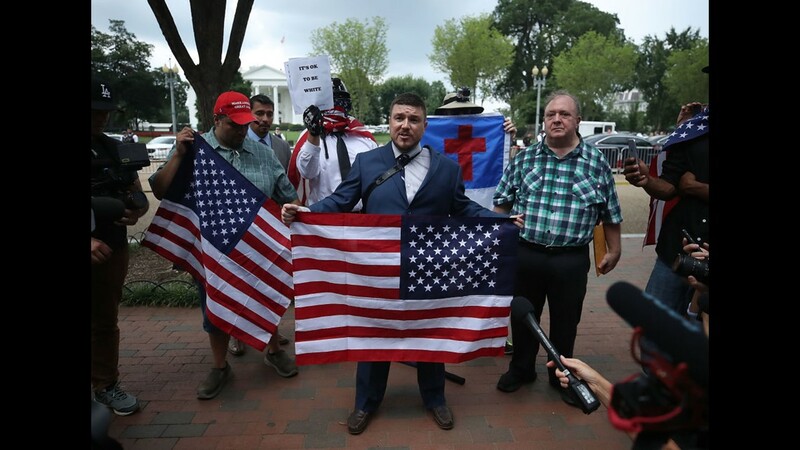 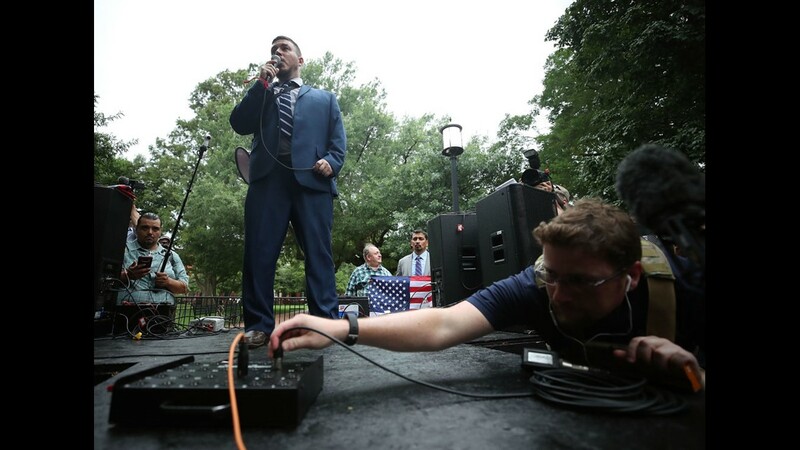 In an approved permit for the rally at Lafayette Square on Sunday, Jason Kessler, the organizer of the rally, estimated that 400 people would be in attendance, including former KKK Grand Dragon David Duke. 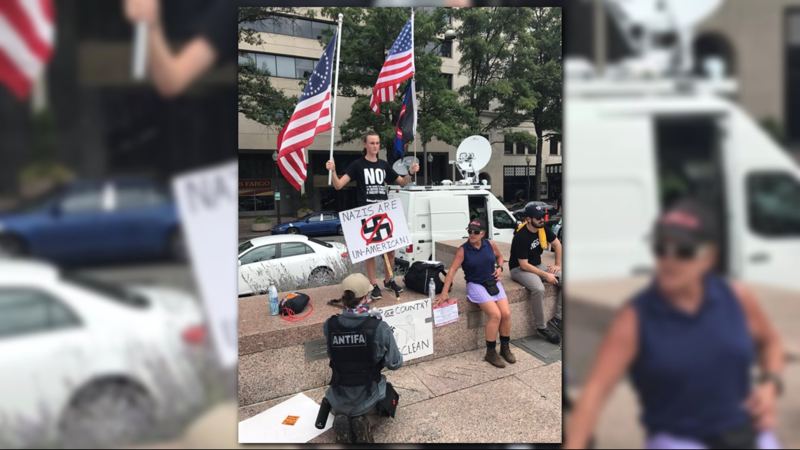 Duke was among several hundred projected participants who did not show at the controversial DC rally. 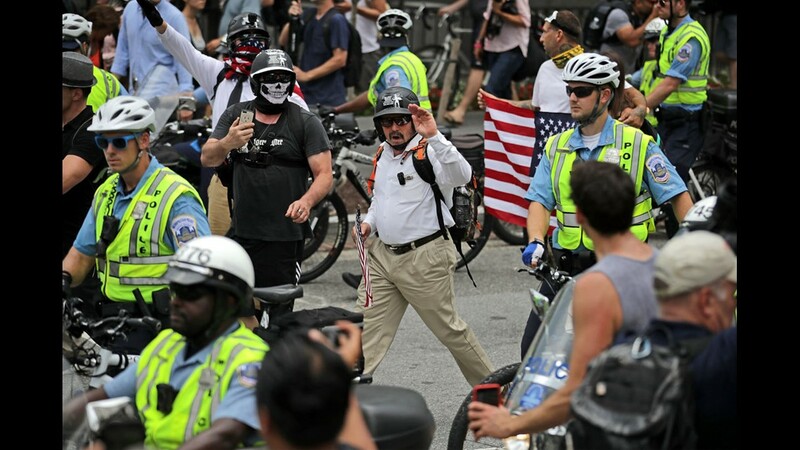 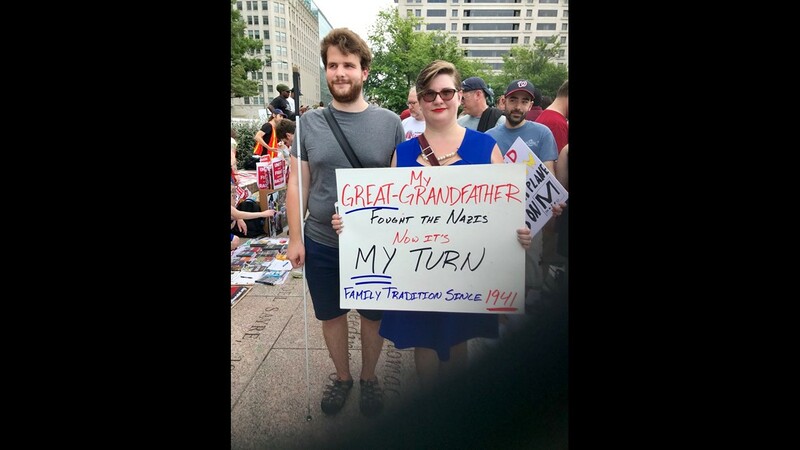 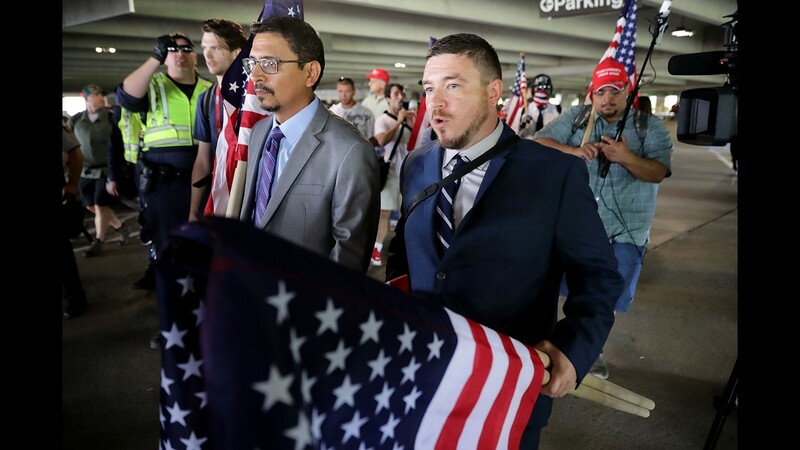 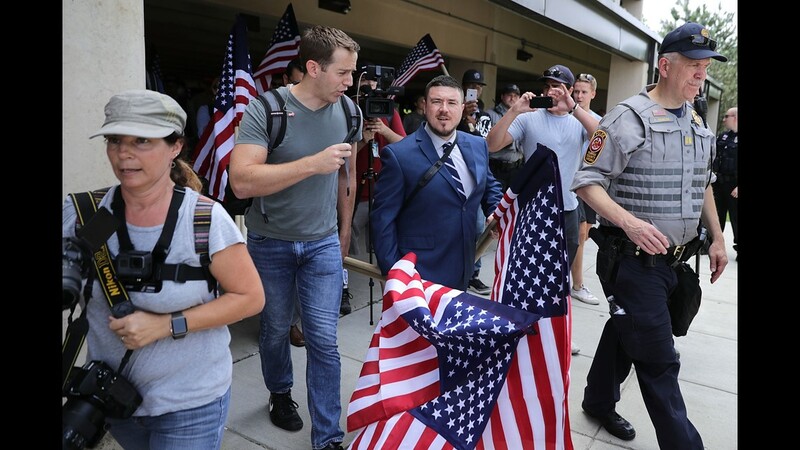 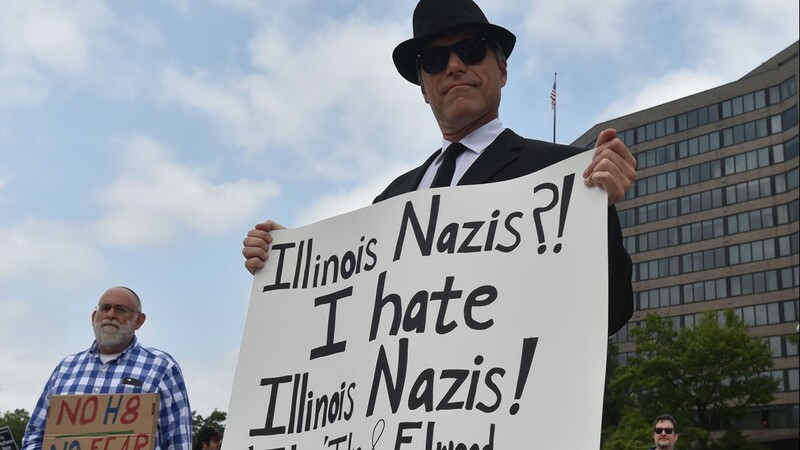 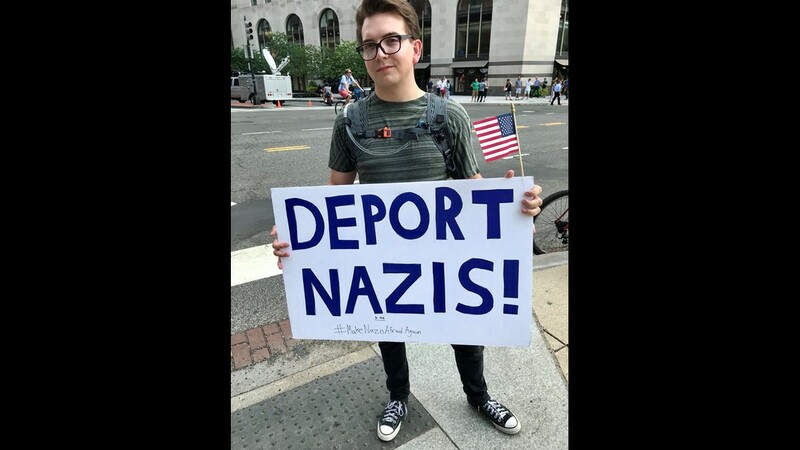 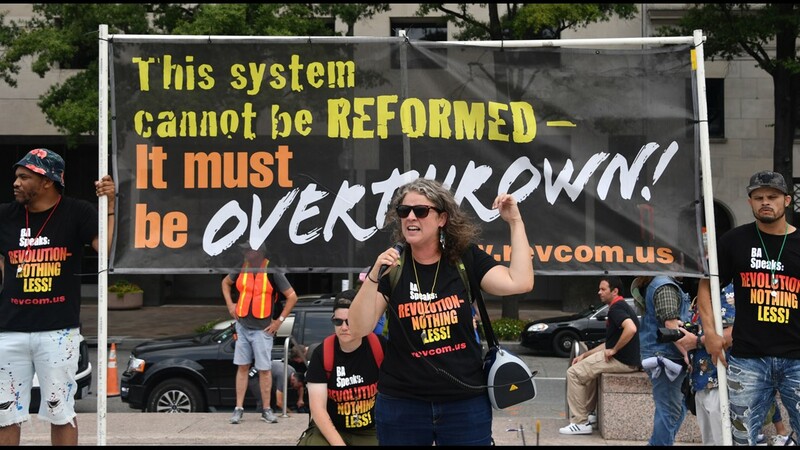 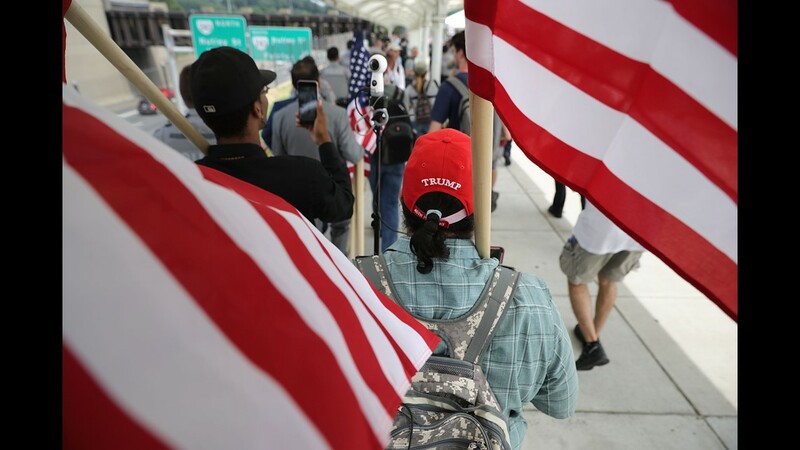 It was no more evident how outnumbered they were than when they arrived at the Foggy Bottom station where they were met by a large presence of counter-protesters who held flags, yelled obscenities and made it clear the attendees were not welcome in D.C.
As Unite the Right members marched down Pennsylvania Avenue to Lafayette Square, they were surrounded by hundreds of counter-protesters who lined the streets on each side. 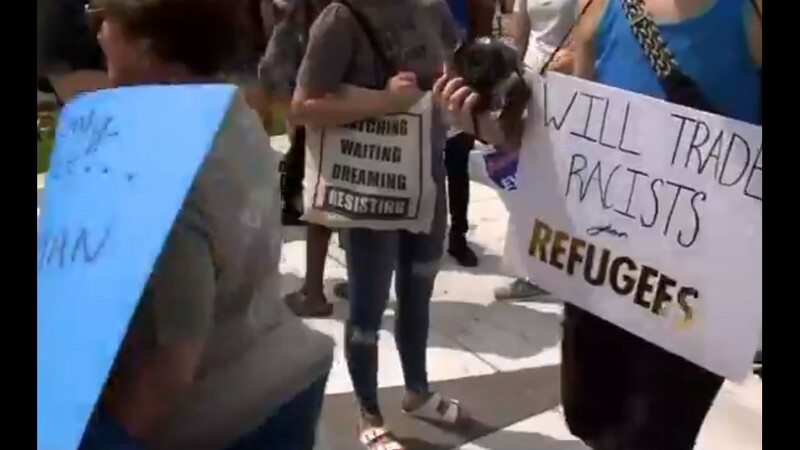 Counter-protesters yelled "go home" and "you're not welcome here." 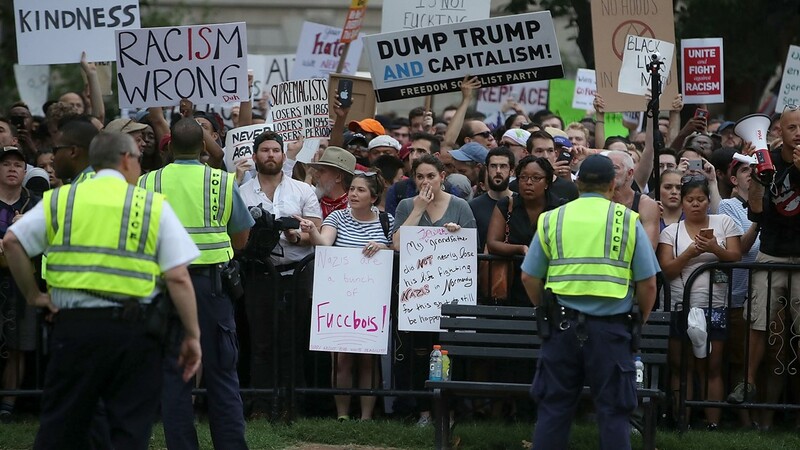 The crowd could also be heard yelling "fight back, fight back! 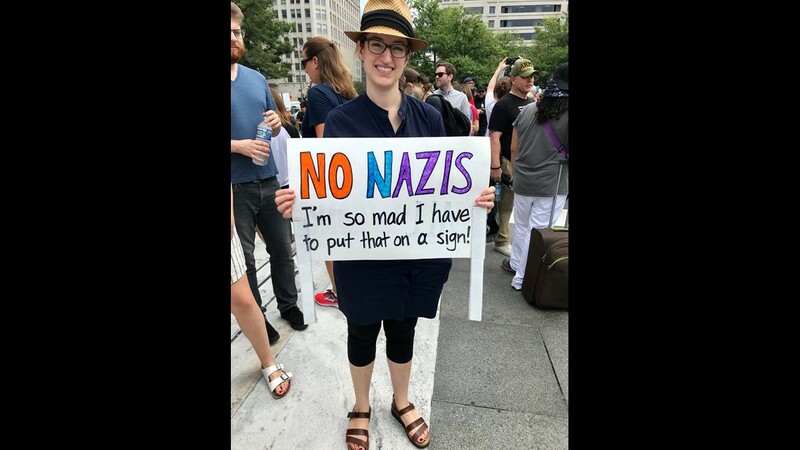 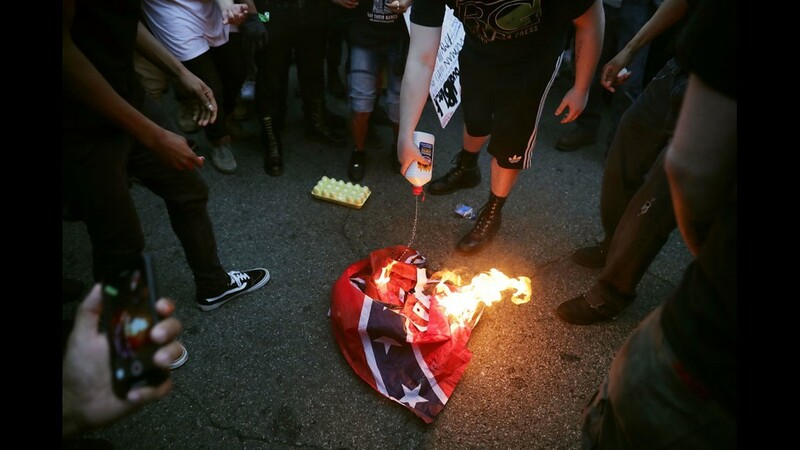 No fascists, no KKK." 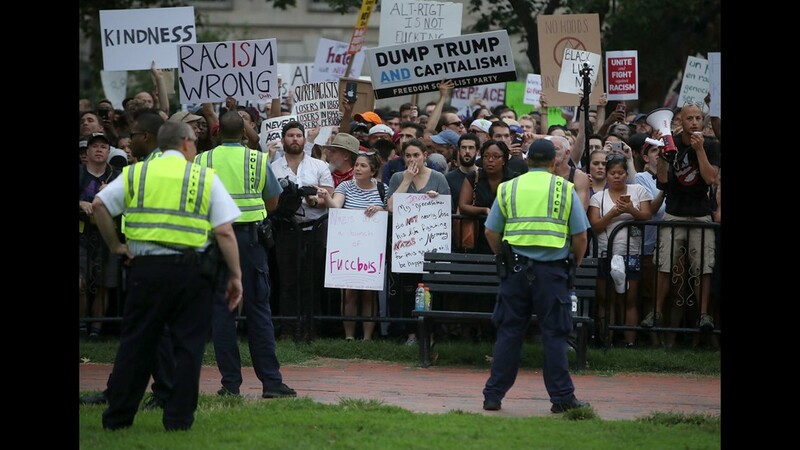 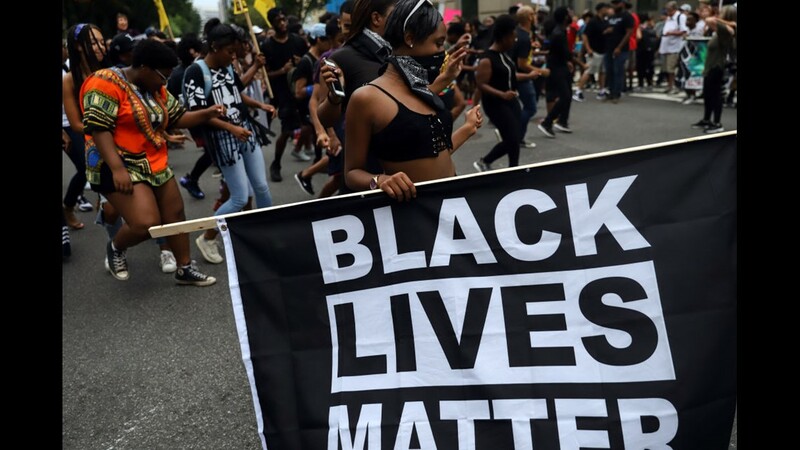 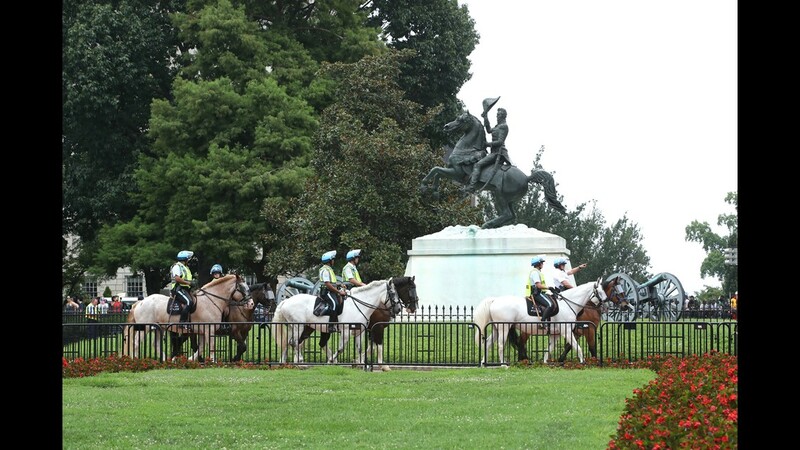 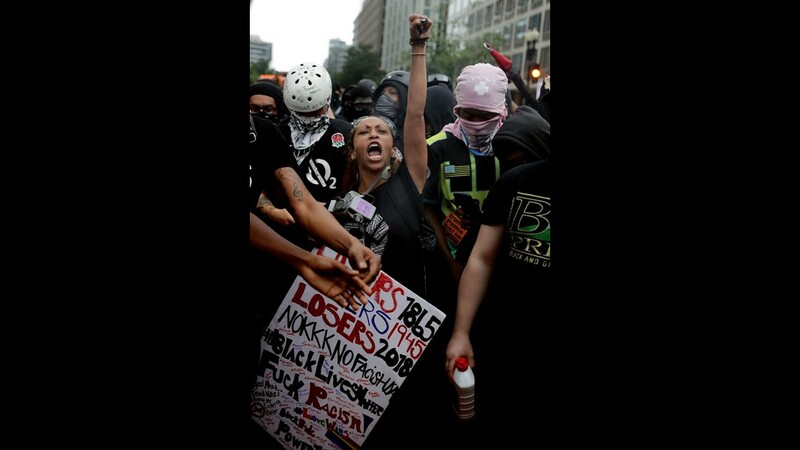 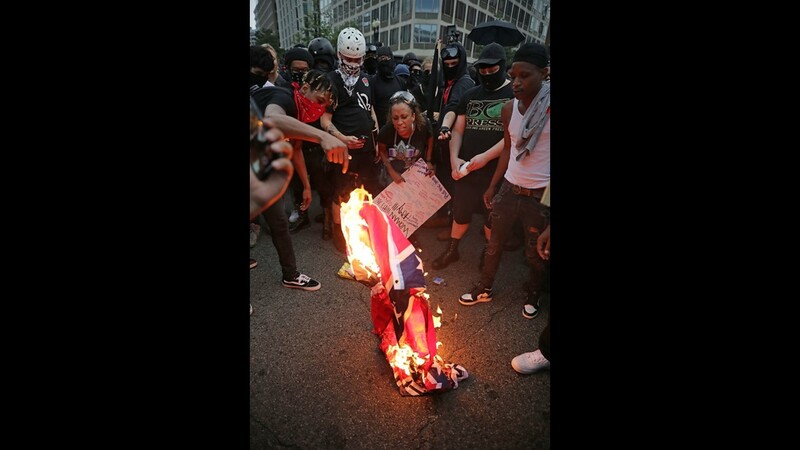 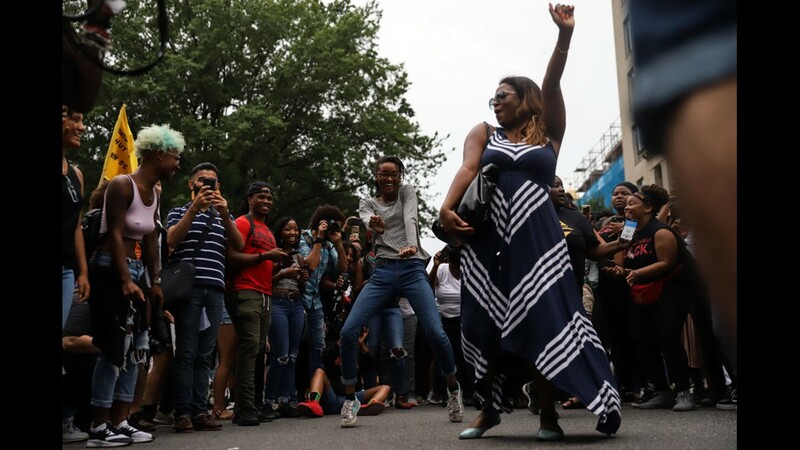 Despite high tensions between the groups, DC police separated the two without incident. 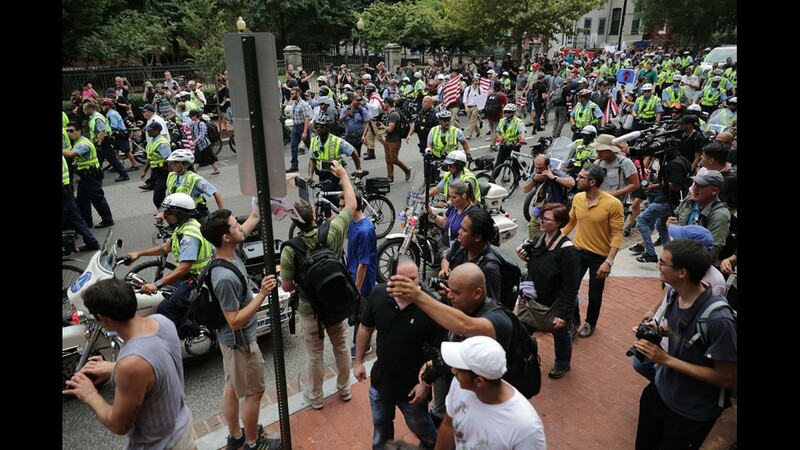 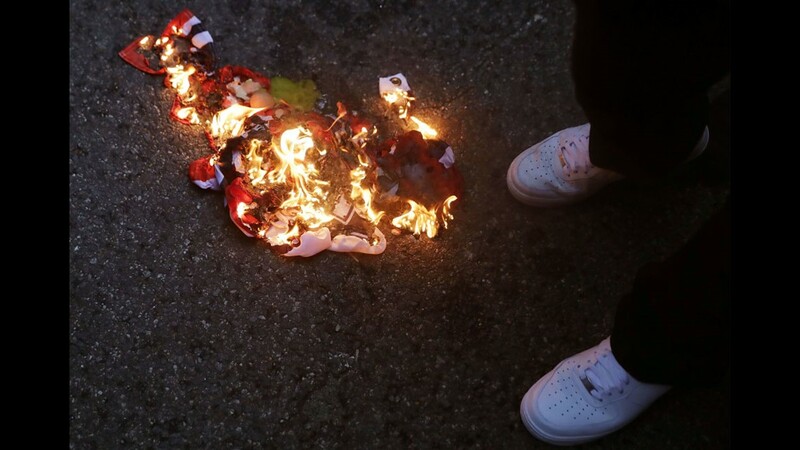 Counter-protesters threw eggs, set off smoke bombs and launched fireworks, but no injuries were reported.